Flowers is one thing (of the things) I don't want to splurge on for our wedding. I'd rather receive something edible than flowers that I have no use of and will wilt after a few days. I don't hate flowers, they're beautiful creations of God, I just don't find it worthy to spend so much on them. Unfortunately, we need flowers for our wedding and flower arrangements can be really expensive, there's nothing I can do about those two facts of life. But, I can do something to lessen the cost of flowers - there always is! 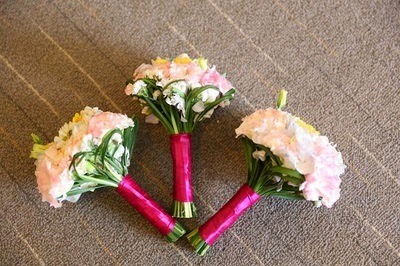 At first, I thought of using fabric bouquets instead of the fresh ones. These look as gorgeous, even more charming sometimes depending on arrangememt, and what's more important is it doesn't wilt. My plan was to sell the whole set after the wedding, almost zero spend on flowers right? How stingy! However, aside from the fact that these can cost way more than fresh ones since these are difficult to do (package starts at Php 10,000 for entourage), I am not certain I can still get the flowers from our entourage members after the ceremony, and it's also quite embarassing to do. The idea of making it by my own hands was entertained, but quickly dismissed. I'm not that stingy after all. :p And even though I'm working on a budget, I am well aware of the fine line between getting the best value for money vs saving even if it means getting crap. 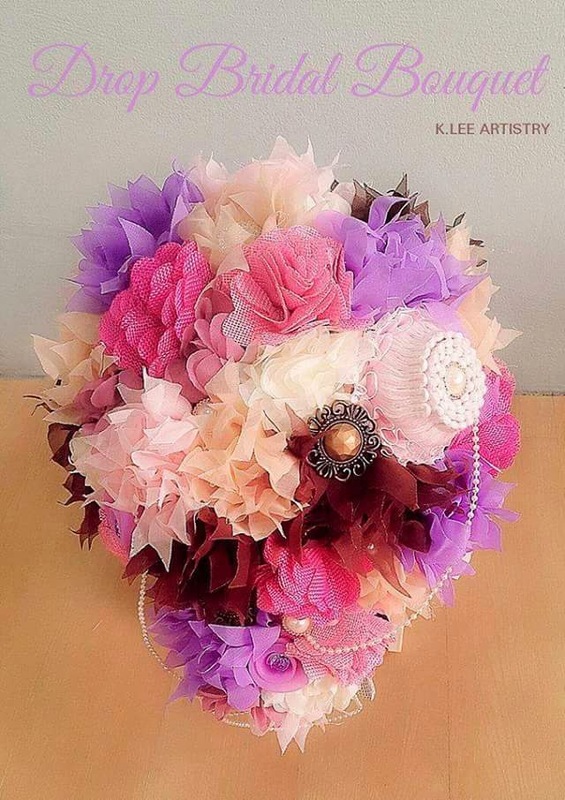 If interested in fabric bouquets, trying inquiring with K.Lee Artistry via Facebook. The owner is nice. Here's a fabric bouquet arrangement I grabbed from their Facebook page. And so I went back to fresh flowers. Even if it wilts, fresh is still the way to go! (And most especially if it's cheaper than fabric ones). I went through the florist flyers and brochures I got from the wedding fairs I previously attended and started comparing rates and packages. The packge that caught my attention was of Dangwa Florist. Being the "sigurista" event planner that I am, I scoured the Internet for other florist's wedding packages for comparison. 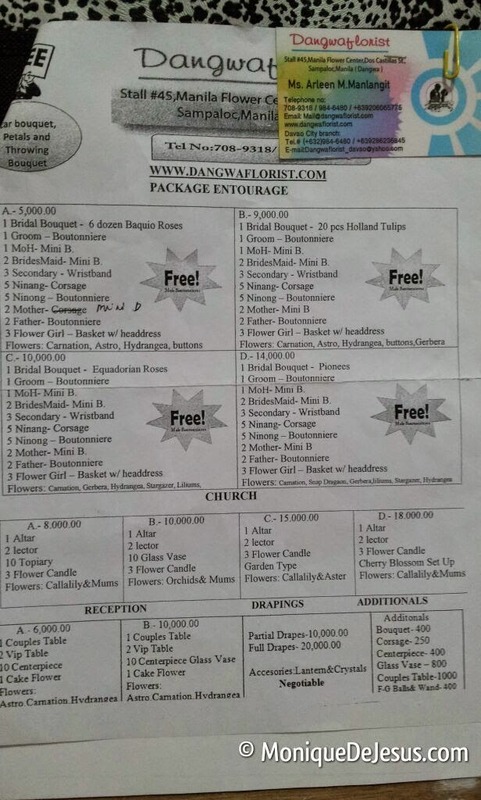 I finally decided to book Dangwa Florist since I couldn't find any other reputable florists who offer the rates that DF does. DF is quite a famous choice among bride-to-be's in wedding forums. No wonder they always bag the Top Booker awards in wedding fairs. Since the bridal car from the caterer's package already includes the flowers, Ate She, the sales staff I was talking to at the fair, switched it with offertory flowers and upgrade of mothers' s corasges to mini bouquets. Ate She and Ate Arleen (the owner) were easy to talk to. Lots of couples were inquiring in their booth. I will not avail of their church flowers package because I do not like to have the typical topiaries in the aisle, better aisle arrangements cost a lot. 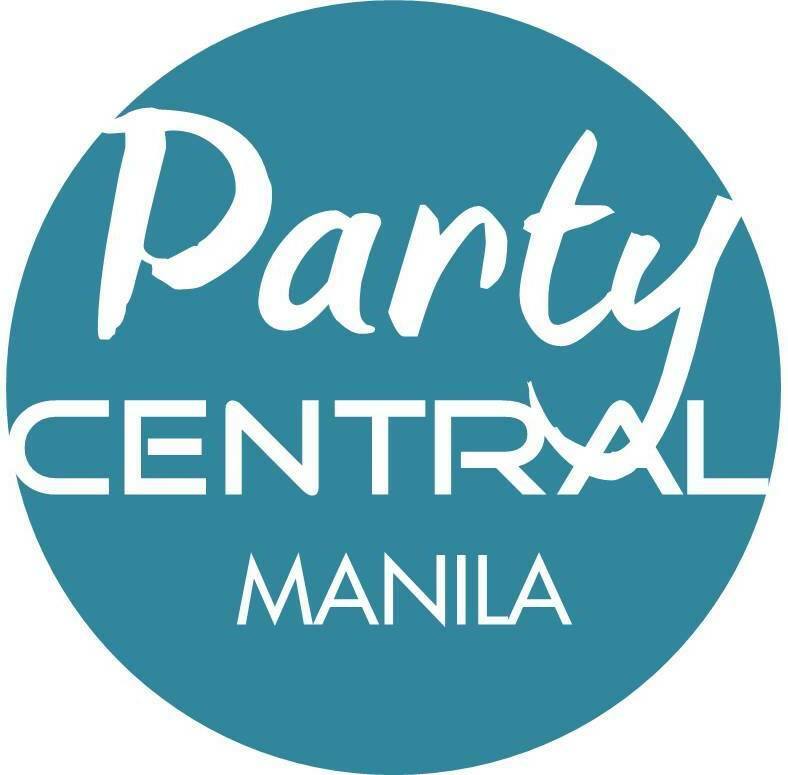 Their church package starts at Php 6,000 which includes topiaries for aisle, altar flowers, lector flowers and flowers for candles. I prefer a unique and simple decor for the aisle. I'm planning on using white paper lanterns on stands. This kind of stand can be rented for Php 3,500 (5 pairs) from DF. Plus some paper doyleys pyramid buntings that I recently started creating - I really wanted to have a personal touch, I can not pass up my wedding without DIY-ing. I will blog about these buntings soon. 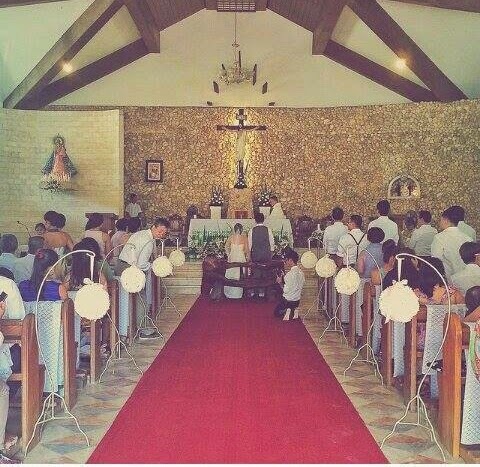 I also want to get a reveal curtain since the march will start at the garden outside the chapel, it costs Php 2,000. We will still go to their shop in Dangwa to finalize the flowers and the other items I'm planning to book. 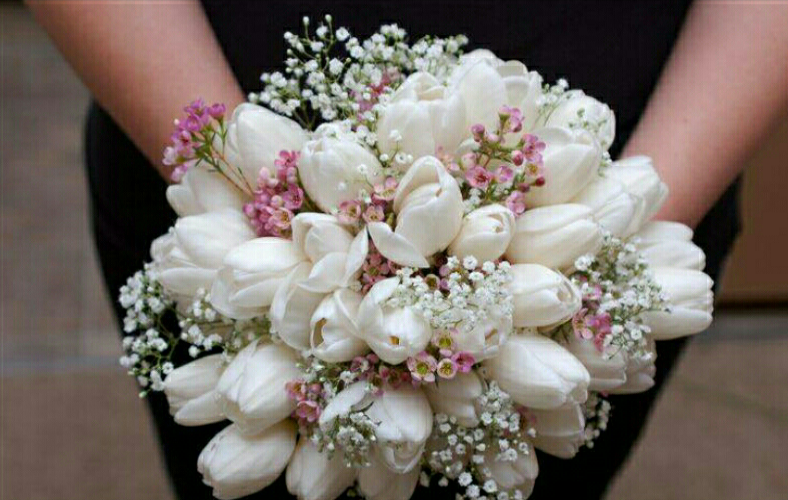 I'm thinking of getting red or white roses for my bouquet, what do you think? Photos courtesy of DangwaFlorist.com. 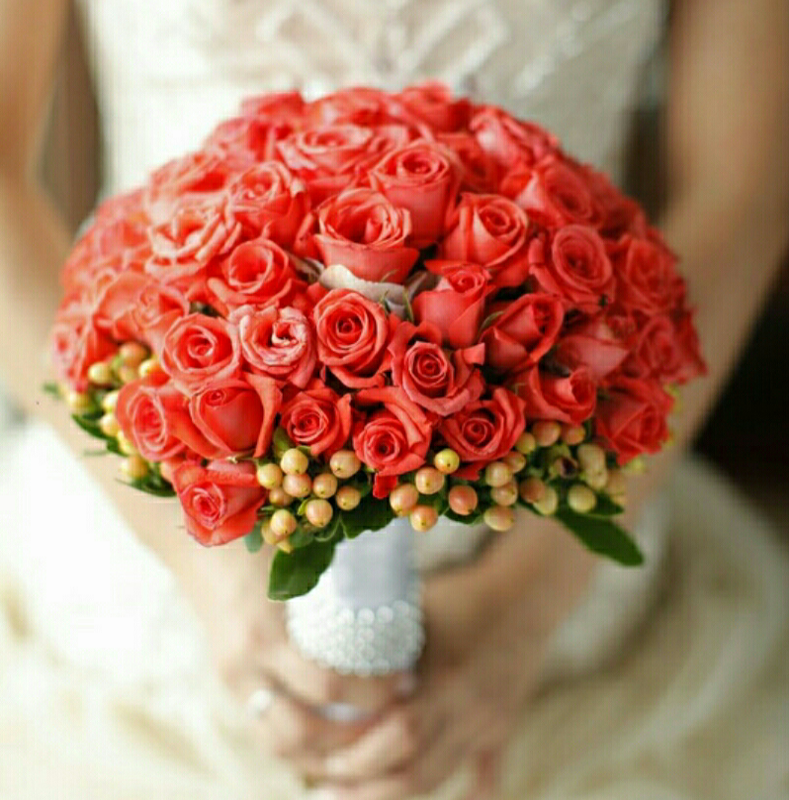 The flowers supplier is a significant part of your wedding because, well they will provide all your flowers, and what is a wedding without flowers? It is quite nerve-wracking to rely on them to deliver the flowers on the day itself of your wedding. It's one shot. So it is very important to choose a reliable florist who has a good reputation among other clients. That made my choice easy - price and reliability. Flowers all look the same anyway (not a flower expert, so I'm sure some may disagree). It's not as if their arrangements look cheap, if course I've had a look, and to be honest, I was quite surprised, in a good way. I'm just basing my perspective on weddings I've attended where I barely notice the flowers which they spent thousands on. I was aware that there were flowers, that's it. Hi Tina, thank you! I am glad to be of help. I haven't been to their shop yet so I am not sure. But I think you can still get the best deals (freebies and upgrades) at the expo. :) We will probably go next month to finalize the flowers and set up. 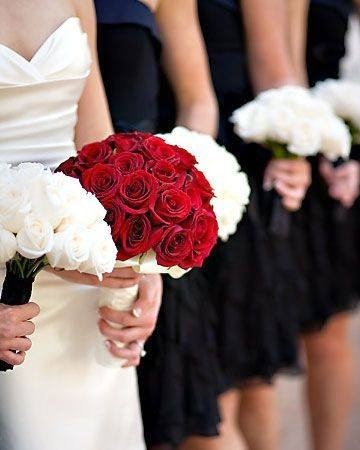 That bouquet of red roses is stunning! I sure wish I'd booked this florist when I ordered funeral flowers online... the one I hired, well, let's just say they didn't do a very good job. We need flowers in wedding and all occasions and flower arrangement is really expensive so we need a cheapest flower delivery, for cheap flower delivery in Philippines visit on this link.